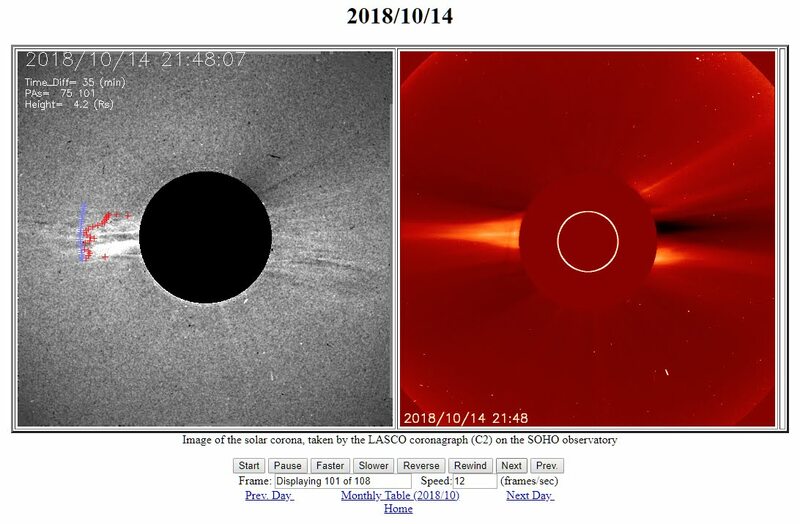 Discerning the Mystery: SECCHI Data Reveals Massive Solar and UFO Activity Along with Apparent Cover-Up - Could This Confirm Planet-Sized UFOs in Our Solar System? 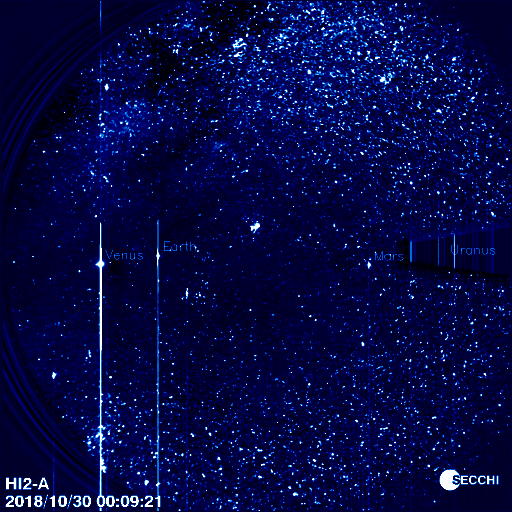 SECCHI Data Reveals Massive Solar and UFO Activity Along with Apparent Cover-Up - Could This Confirm Planet-Sized UFOs in Our Solar System? Both popular rumors and scientific disclosures have been consistently circulated about recent and seemingly profound changes occurring within our sun. These topics of heightened solar activity have been extensively discussed by mainstream heliophysicists, whistleblowers from black projects, and independent researchers alike. Some claim to have a definitive idea about what is happening within and around our home star while others are waiting to see what may come of these reported solar events. 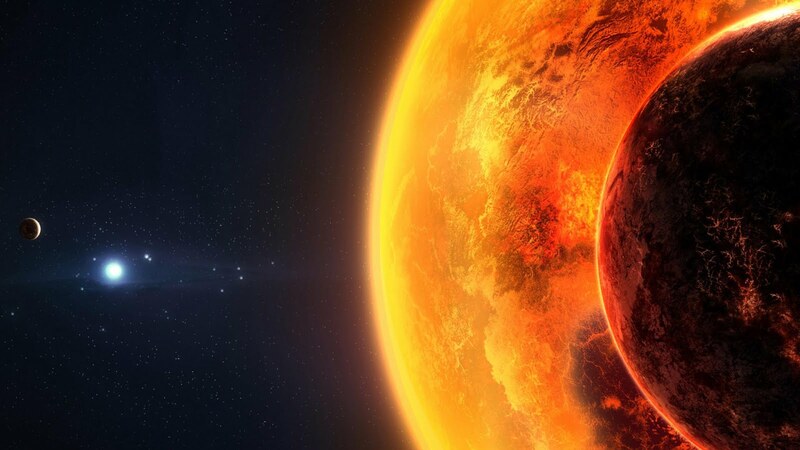 Though there is much uncertainty surrounding these developments, one thing is for certain: Whatever is happening to our sun, the coming changes will be very difficult for any of us to ignore. There was an article published here on DTM a number of weeks ago which ended up being extremely popular among readers. This article discussed the subject of the possible visitation of hundreds of UFOs into the solar system along with a number of strange and yet verified solar events. There were certain aspects of the article—particularly the popularized digital images published by one Facebook user—that did not appear to be the most reliable. However, the doubt surrounding these images did not entirely deter audiences from considering the other possibilities listed in that article. To be honest, on a personal level, I can be somewhat stubborn when it comes to topics of research. If there is a subject which appears to hold significance, I tend to stick with it even though others may move on to other topics. Many times, these searches yield little more than a learning experience. However, other times, such detailed studies have led to discoveries of some fairly profound concepts for my own personal growth, and at times, the growth of others (which is always a good thing). 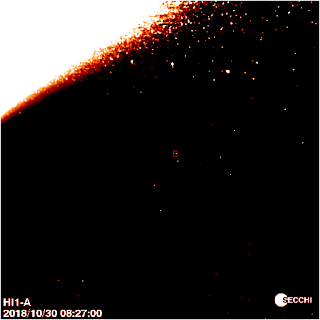 As things appear, in this case, my stubbornness to fixate on the possibility of heightened solar and UFO activity within our solar system may have paid off. 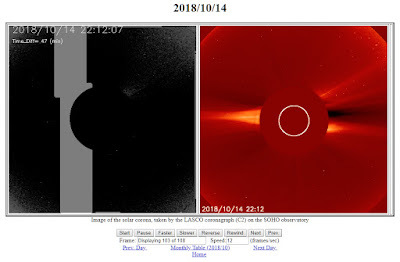 As stated in the previous article on this subject, even though the Facebook images may not have been very reliable, the reality of the aforementioned solar systemic changes is very likely, in my view, and according to new evidence from actual official sources, we may be able to prove that our solar system has turned a corner in the area of high strangeness. Not long after the original DTM article was published, one reader pointed out a YouTube video they had stumbled across about recently recorded astronomical data. 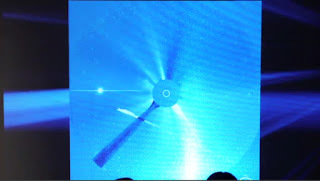 The YouTube channel was called Blue Koolaid, and though the name of the channel may be a bit offbeat, the content about solar data seemed to be thorough, insightful, and journalistically disciplined for the most part. 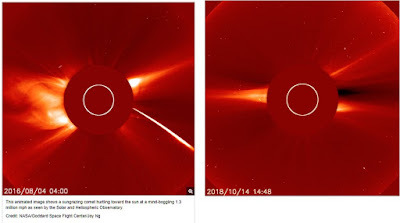 One of the main sources for solar data used by this YouTube channel comes from the website for the Sun-Earth Connection Coronal and Heliospheric Investigation, or the SECCHI Institute, for short. This institute is linked with the Naval Research Laboratory and is one of the central resources tasked with logging the coronographic data collected by the highly advanced STEREO telescopic array currently orbiting our sun. (Coronography is the scientific study of the sun's corona). Here are a few further details from the official SECCHI website about the organization and the technology they utilize. SECCHI is a suite of 5 scientific telescopes that will observe the solar corona and inner heliosphere from the surface of the Sun to the orbit of Earth. 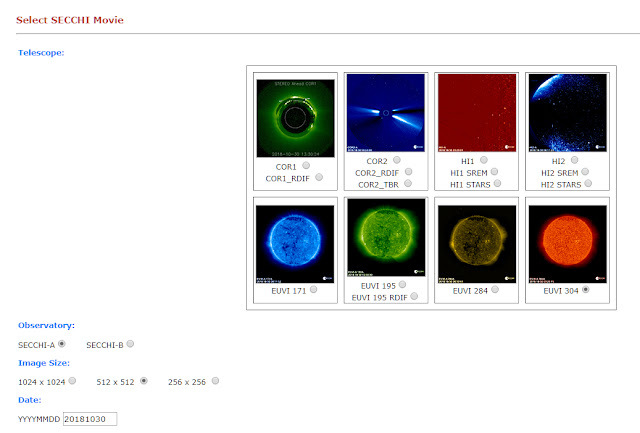 These unique observations will be made in stereo for NASA's Solar Terrestrial Relations Observatory STEREO. The suite has three main parts. The SCIP (Sun Centered Imaging Package - three telescopes), the HI (Heliospheric Imager - two telescopes) and the SEB (Secchi Electronics box). The five telescopes which make of the SECCHI project can make for an interesting read. Yet, we may note the fact that though these telescopic systems may sound advanced, they may only represent a small portion of the technological capability of the Military Industrial Complex. Likewise, the information presented by these establishments may seem extensive in nature. However, this information does not represent the entire knowledge base of our sun or the solar system as a whole. By all appearances, the recently recorded data from SECCHI may reveal much more than this organization has openly disclosed. We might also note the significance of the imagery depicted by these visuals from the SECCHI website. As we can see, there appear to be familiar symbolic references hidden within these graphics. 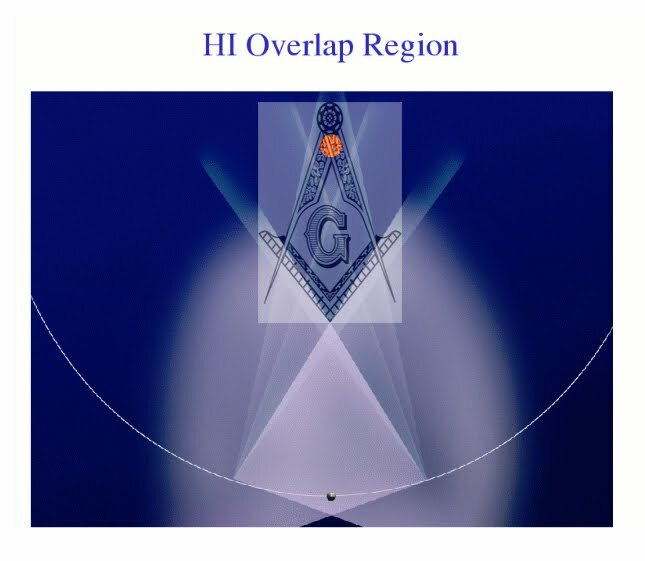 The Masonic square and compass only require a slights adjustment in order to fit perfectly within the SECCHI graphic. According to research, this symbolism is common among official organizations that record space-based phenomena and report them to the general public. More often than not, there are more secrets withheld by these organizations than there are truths revealed. As we may have realized, the domain beyond the Earth's atmosphere is strictly controlled by corporate and military powers which have collectively chosen a standards of secrecy and suppression over those of truth, honesty, and equality. These interests have maintained blanket secrecy over nearly the entire scientific establishment. More specifically, the areas of astronomy and astrophysics have comprised some of the highest levels of official classification. According to research, this institutional secrecy is the root of public ignorance of the universe beyond the Earth's atmosphere. Further, it is this secrecy which makes discoveries such as the ones we are about to discuss so important. On October 30, 2018, something massive occurred in our solar system. This occurrence appears to have been recorded by SECCHI and other official organizations. However, it seems that certain interests behind such organizations saw fit to hide this information from the public record. Let's dig into this mystery. The key advantage of using the SECCHI database is that it is convenient, versatile and offers a variety of perspectives of both the sun and any adjacent planets from the several different vantage points. Once we are able to learn the interface of the website, we can easily view the imagery in question and ultimately make our own determination as to its significance. For those unfamiliar with SECCHI, whenever we view normal solar data from this site, we can expect to see consistent records and results from each respective 24-hour period (or whatever time-frame we choose up to 24 hours in UTC). According to research, this represents the majority of the data we find within the SECCHI database. However, in nearly every one of the recordings taken from the site on October 30th of this year, there appear to be points during which notable periods of time were deliberately removed from the recordings. For the sake of reference, we can see the above image represents the basic setup of the site where the telescope recordings can be viewed. Simply select the image you'd like to view, type in the date in the box labeled "Date" (in this case, "20181030"), and click "Submit" at the bottom of the screen. Keep in mind, you may receive an error or warning when navigating to this website. This is likely because the site is technically a military website and is normally accessed through a secure link. However, for our purposes, we do not need security when simply viewing solar data. As we can see, the interface is extremely easy to use. The five stereo telescopes include COR1, COR2, HI1, HI2, and EUVI, and each of these telescopes offers two to three different modes of operation. These modes are able to record everything from the corona of the sun to the distant stars in the background, and the planets, including ultraviolet and infrared-filtered views. 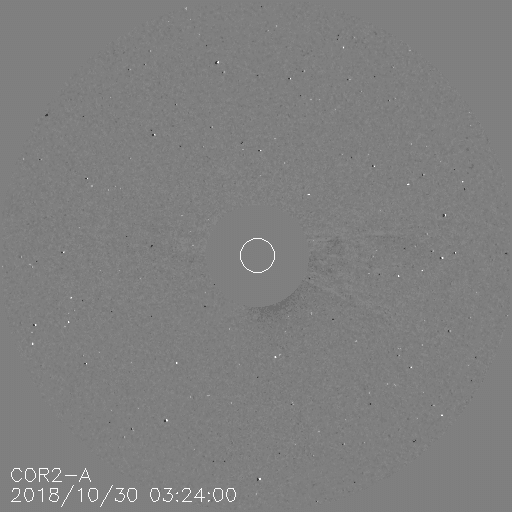 One of these strange time gaps can be found on the COR2-A viewer at around 5:54 UTC. The stream appears to have been altered, seeing that a time-span of 7 whole hours is missing from the recording. The recording continues at the 12:24 UTC mark and shows no other sign of tampering or alteration. These types of gaps are not at all common for these 24-hour recordings, to restate. What is particularly telling about this recording is the image which emerges the moment the recording continues, following the time gap. This image may even reveal to us the possible reason as to why 7 hours of this recording were removed to begin with. The following image appears in the first frame on the 12:24 mark when the recording begins. 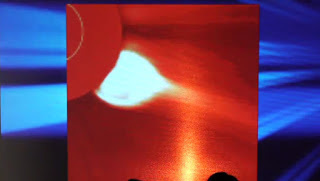 This image shows what appears to be what we see in a typical large coronal mass ejection (CME). 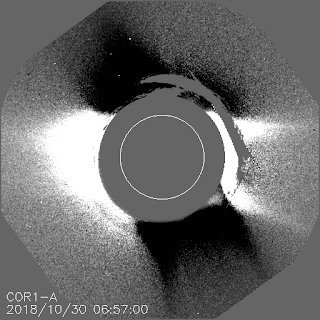 The difference between the typical CME and this ejection is that this eruption appears to be occurring extremely quickly and is actually projecting in all directions. 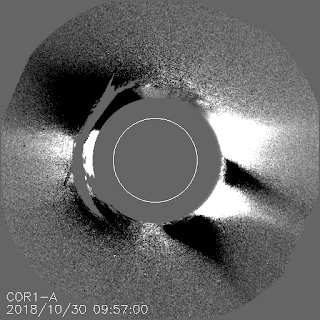 This flash occurs in a matter of mere minutes (about a half-hour) as opposed to the normal, several-hour-long duration of the typical CME. 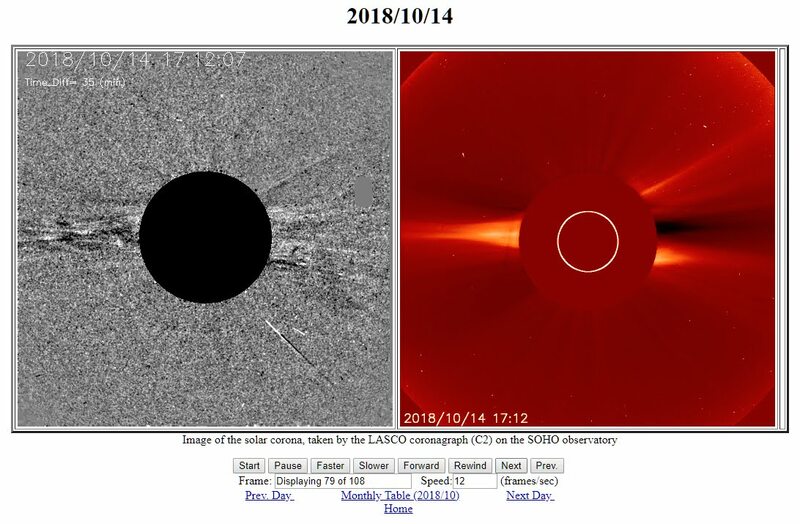 If there were interests behind the scenes who saw fit to manicure this SECCHI data, it seems only logical to speculate that there were likely other eruptions similar to this CME. Perhaps these unseen eruptions were even more massive (and possibly faster in speed) than the one we see occurring at the tail end of the missing time-span. If those (alleged) CMEs were not more significant than the one we see at 12:24, why would anyone want to hide them? What is it we are not allowed to see here? Again, we do not typically see omnidirectional CMEs like this, especially ones that move with such extreme velocity. We might also notice that in these animations, there appears to be a certain abnormality to the sun's shape, or rather an irregularity to the light emitting from the surface. Under normal circumstances, we could expect to see the sun being completely hidden by the circular occulter in the center of the image. 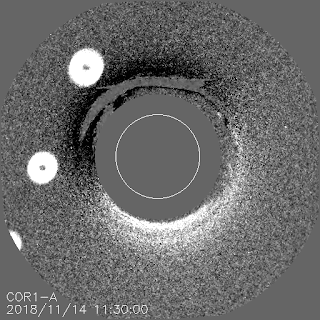 These occulters are commonly placed over the solar disc because these feeds (COR1, COR2, HI1, and HI2) are focused upon the corona of the sun as opposed to the solar surface. 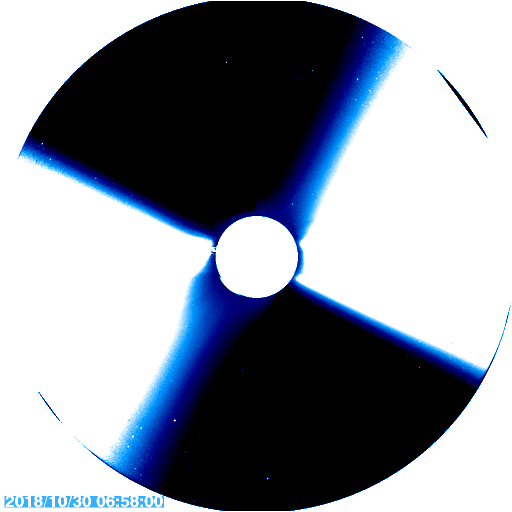 However, in this case, it appears as though the occulter is not able to entirely block the brightness of the solar surface. In other words, some aspect of the sun appears to be warped. Could the sun's surface be fluctuating so extremely? It could simply be that the occulter somehow moved and we are only seeing a small sliver of a perfectly round solar disc, as we should. However, when we view other data related to these events, we may see otherwise. Under normal circumstances, the SECCHI/STEREO array records video data in a contiguous way. There are typically multiple telescopes recording simultaneously so that if any abnormal activity occurs either on the sun or within some aspect of the equipment, that activity can be recorded and later analyzed. The occurrences of October 30 represented one such occasion in which this redundancy of video data came in handy. As it turns out, the apparent irregularity of the sun's shape showed to be true in a number of feeds from the SECCHI array. We can see this clear abnormality in the image below from the COR2-A view. Here we see yet another instance of this clear protrusion from the behind the occulter (bottom portion just right of center) as though the sun has warped beyond its typical spherical shape. This warpage is, of course, complemented with what appears to be another omnidirectional eruption from the sun's surface, which suggests that this apparent deformation and the eruptions are somehow related to one another. This seems particularly interesting. Yet we might find it even more intriguing to see what happens just moments after this warpage and corresponding eruption take place. Just after the above image appears, the video reveals a very strange glitch-like phenomenon which causes the values of the image to reverse completely. It is almost as though the energy from the sun is so intense at this point that this telescopic view becomes overloaded and temporarily errors out before resetting back to their normal values. At roughly 6:58 UTC, the image reverses entirely—occulter and all—and by all appearances, a burst of extremely intense energy emanates from the sun. Again, each of these cameras is viewing this information at the same time. These bright flashes actually occur twice—once at 6:58 and the other at 8:58 UTC. The next frame seems to suggest that the above value reversal was, in fact, related to another large CME which occurred just hours before the first. Here, we see the remnants of the ejection along with further signs of warpage of the solar surface. We might keep in mind the possibility that these events could partially represent some type of equipment issue. However, the fact that all of these cameras appear to have roughly the same amount of time missing along with the fact that not all time gaps are consistent further proves the possibility that the sun is experiencing such extreme irregularities. It also suggests that some amount of effort is being put into the concealment of these events. These images seem to be very telling, at least to the point that something fairly odd is occurring upon and around the sun. Yet it is only when we come to the camera labeled HI1 that the more revealing imagery begins to manifest. When we see images of the sun itself, it appears as though something so energetic is occurring that the objects within the image are rotating for some reason. 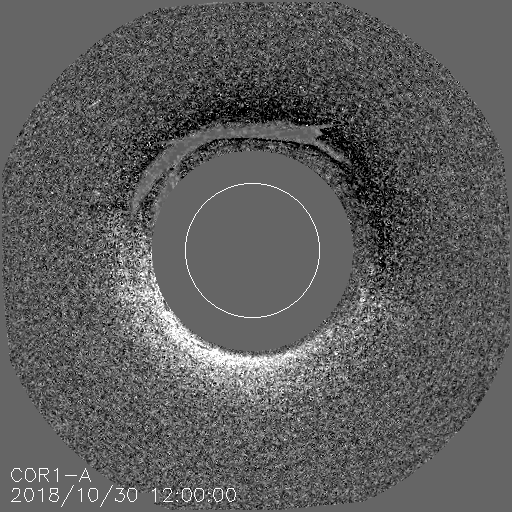 Below is an image from COR1-A SECCHI from our same target date of October 30th, and shows what appears to be an event which causes a wave of energy to move around the sun in a circular motion. The apparent eruption occurs at about 6:57 UTC and seems to correspond to the equipment either readjusting or malfunctioning in some way. The feed appears to show excessive activity from 6:57 to 9:57 UTC. Then, for some odd reason, the feed jumps to 12:00 UTC—showing yet further signs of an attempted cover-up. This circular motion we see may simply be due to another technical issue within the COR1-A mechanics. However, if this were the case, we would not expect such a malfunction to occur at multiple telescopes simultaneously, seeing that these orbital telescopes are tens of thousands of miles apart from one another. If we see these phenomena occurring simultaneously on multiple cameras at the same time, this makes it more likely that we are witnessing a real anomaly taking place within and/or around the sun. Additionally, if we see that multiple recordings from different arrays show different segments of missing data, this makes it very likely that there was some deliberate effort to hide certain details of information regarding possible strange events taking place with the sun (to restate). As we can see, the image below shows us the right side of the sun (relative to the telescopic view) where the effects of the apparent CME are forming. 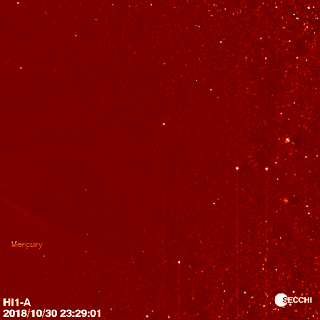 We can also see the label for what the telescopic array reads as the planet Mercury down in the bottom left of the image below. This image might be uninteresting, were it not for what happens in the next few frames. 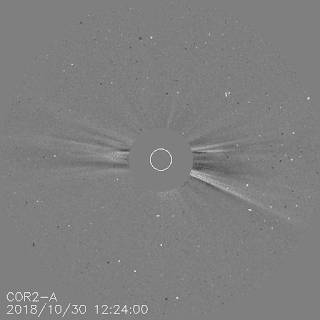 At the 6:57 mark, there appears to be our anomalous (alleged) CME event where the values on the image flip. When this happens, there appears to be a number of very unexpected shifts in the imagery. We see that the trajectory of the telescope does not change much. The sun still appears to be near the center of the image just out of sight to the left. To add, it is very unlikely that these telescopes would be jostled in orbit only to simply realign themselves immediately afterward. They are out in the middle of empty space with very little chance of being impacted by any solid object. It is also very unlikely that the actual planet Mercury would suddenly jump from one place in the solar system to another and then back immediately afterward. We can see the orientation of the sun remains stable both before and after the bright flash takes place. 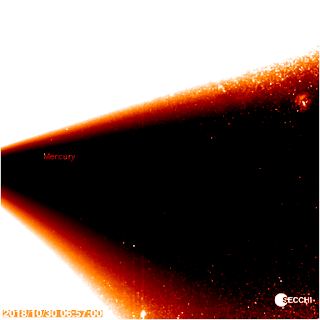 Yet the telescope registers Mercury as being in two different places during and before/after this flash event occurs. Of course, there is only one actual planet Mercury, but could there be other objects adjacent to the sun that are comparable in size to Mercury? The possibility—though slim in the perspectives of some—still exists. 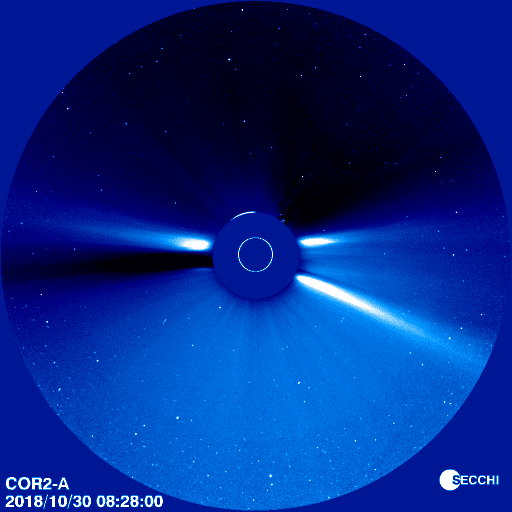 If there were planet-sized objects complimenting this SECCHI imagery, this would explain the apparently spherical object visible in the upper right portion of the image above. Up until this point, we have not seen these phenomena in solar photography. 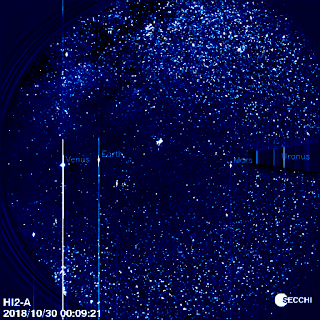 Unless these phenomena represent some type of glitch in the collective data of the SECCHI array, these images may reveal some very interesting developments within and surrounding our sun. 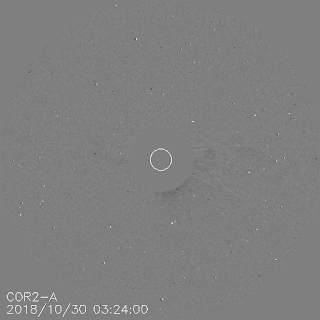 What could an apparent planet-sized ball of plasma being doing just adjacent to the sun immediately after a possible CME event? Could our home star actually produce such an intense energetic anomaly as this? Along with the above phenomena, there is this odd occurrence at the 8:27 mark where the letter B appears to be marking something significant. We cannot say what the B stands for. There are no planets which start with a b. However, we could speculate that B may simply stand for a body of some kind (or possibly the word bogey). Let's take a look at something even more peculiar (and possibly familiar) within this body of SECCHI data. Take a look at the image below. This still was taken from the SECCHI video data in the HI1-A view on our target date. Do you see anything familiar? If you do, and you read the previous article on this subject, you have a good memory. 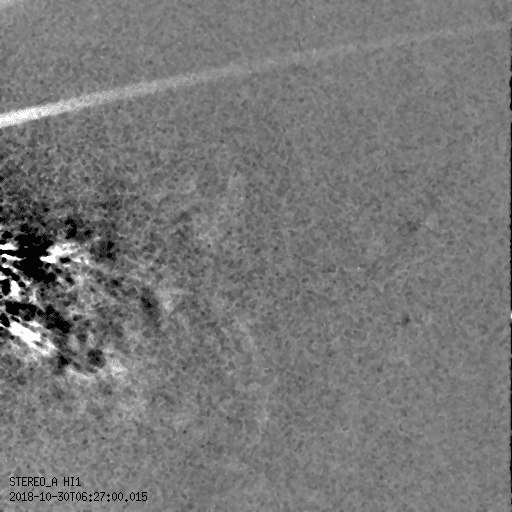 The bright streak toward the top of the image below bears striking resemblance to other images of what we know as sun-cruisers. These, of course, were the planet-sized spherical UFOs that were reported by whistleblowers in the early months of 2016. As we might remember, these sun cruisers were also known to be extremely fast-moving—being able to cover thousands of miles in single frames of these space-based telescopes. 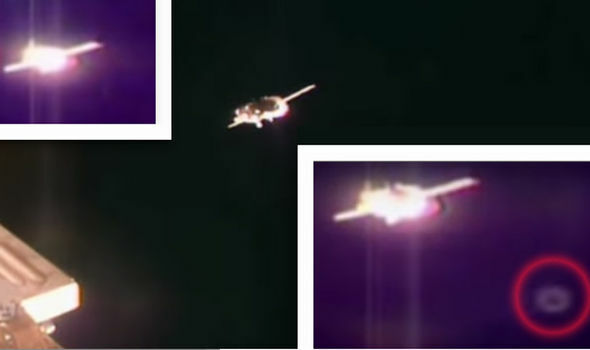 These massive UFOs were also observed to be directly connected to CME activity. It was believed that these craft were actually gating into the solar system using the sun as a portal and that when these craft either entered the solar system or exited through the sun, they would produce CMEs as they contacted the solar surface. If this was the case, this might explain a certain aspect of the image below. Once again, we see these value reversals, but this time, we see this phenomenon occurring immediately after this bright streak appears—in the very next frame. The apparent object moves far too quickly to be a comet or any other natural object. In actuality, the value shifts twice—once in reverse, and the other, back to the original values with extreme intensity in both cases. Again, it is as though the instrumentation is somehow being overloaded by the occurrences depicted in the imagery and that it is unable to record the intense energy of this apparent solar activity as it would under normal conditions. Why do we see such strong similarities between these images and those of the sun-cruisers? As we may remember, these reportedly planet-sized UFOs were shown to zip around the solar system with such speed that at times, Earth-based telescopes could hardly get a clear picture of one. They seemed to dart around so fast that these telescopes were only able to pick up a streak of solar reflection (or perhaps self-luminosity). Just as in the original images of these sun-cruisers, the above images show a brief streak of light which appears to be a path toward the sun. 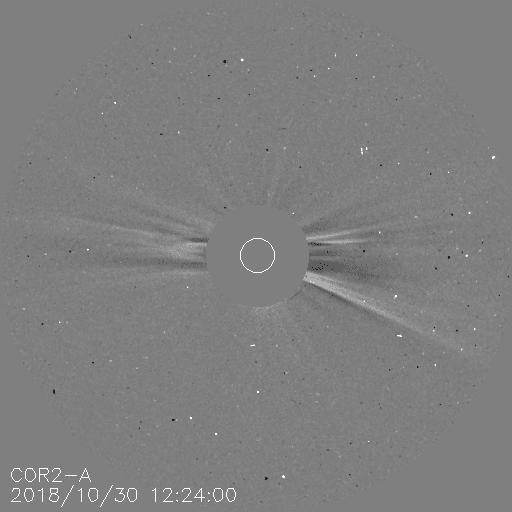 This apparent entry by this unknown (and massive) object is followed by a large energetic discharge from the sun which temporarily confuses nearly every SECCHI telescope for a number of minutes. This short and yet revealing feed seems to show us two different pieces of evidence that the premise from the original DTM article on this same subject was, in fact, close to accurate. The only difference is that now, we have verifiable evidence coming directly from an official source—a source, mind you, with a clear intent at partiality in disclosing only a portion of the truth to the public. This image shows us what actual planets look like in the SECCHI feeds. We can see that Earth, Venus, Mars, and Uranus are all generally in the same solar ellipsis, as we might expect. The sun is just out of the frame to the left of this image. As we may know, the SECCHI telescopic array consists of several orbital telescopic satellites which are positioned in several locations in their own independent orbits around the sun. This is why we see the Earth in this image, in contrast to other satellite systems which we might find in high Earth orbit. These planets appear to be highly reflective of sunlight as compared to the dimmer stars we see in the background. We might note the size and locations of these planets when comparing them with other objects which would be considered more abnormal. The reference video on similar details about the SECCHI data from October 30th was exceptionally intriguing and can be viewed here for further observations. Though the commentary beyond the astronomical data can be somewhat questionable at times, the data analysis side of the discussion seems fairly sound. As in any case, use your own discernment. Let's add to this discussion with yet another anomaly which may tie the entire discussion together. The next piece of data for our discussion comes from another website similar to the SECCHI database. The site is Spaceweather.gmu.edu and offers some of the more revealing and somewhat shocking data on the possibilities of UFO activity around our sun. 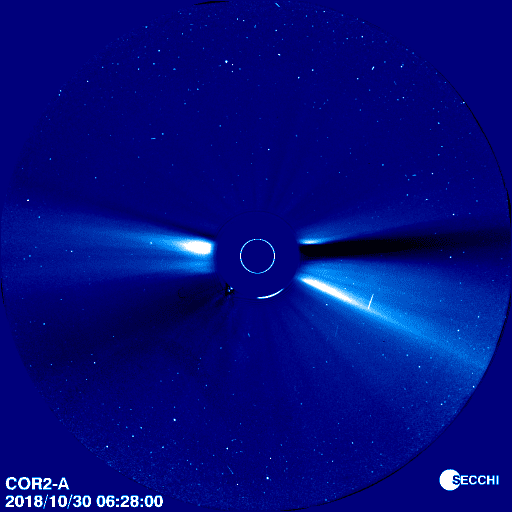 There are numerous events which are typically captured by telescopic arrays such as SECCHI, LASCO, and STEREO including flairs, CMEs, comets, planetary transitions, and various anomalies. It is typically an easy task to distinguish between normal occurrences and those which are notably irregular. Take the occurrence of sun-diving comets for instance. These occurrences are typically listed in specific databases for the STEREO array or otherwise. We can typically distinguish these sun-divers fairly easily due to the tendency of official organizations to monitor such activity. With this in mind, let's take a look at the imagery of interest. 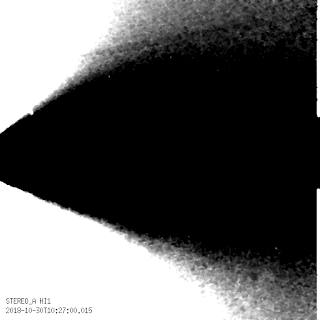 Note the bottom right portion of the infrared (grey) image below. 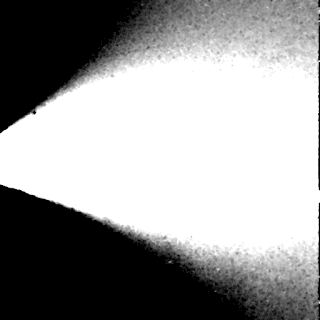 As the object contacts the sun, the infrared image seems to glitch out. erupts from the sun immediately after the glitch event. 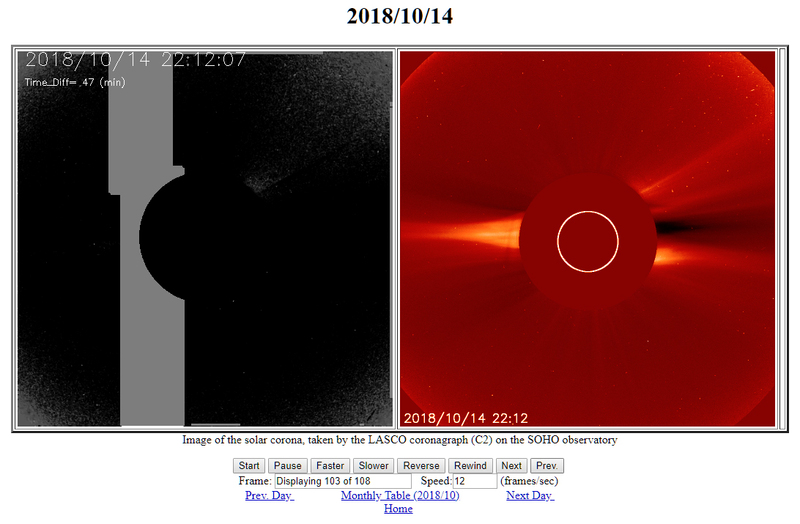 These images come from the LASCO database and took place on the November 14th of this year. If we were to remain strictly conventional in our analysis, we might say that this image represents little more than a sun-diver which most databases failed to include and then forget about any further analysis. However, we are not so conventional here. When we look more closely at the imagery, we see the familiar massive reaction from the sun to a seemingly small object. These types of eruptions can happen with the average sun-diving comet. 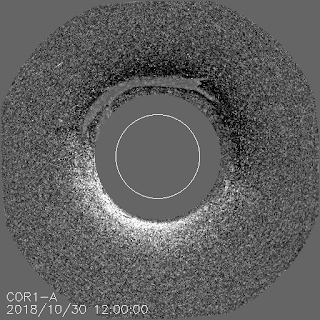 Yet it seems noteworthy to point out the fact that in most cases of comet impact/CME combinations, the telescope does not typically malfunction due to the subsequent CME. This type of glitch may cause us to suspect that the same strange occurrences we have seen thus far are somehow related to this imagery as well. We may also note the lack of a distinct tail following this object. As we know, the typical comet is distinguishable by its long and luminous tail which can reach up to 100 million miles in length. Yet the tail behind this mystery object hardly registers as that of a comet. 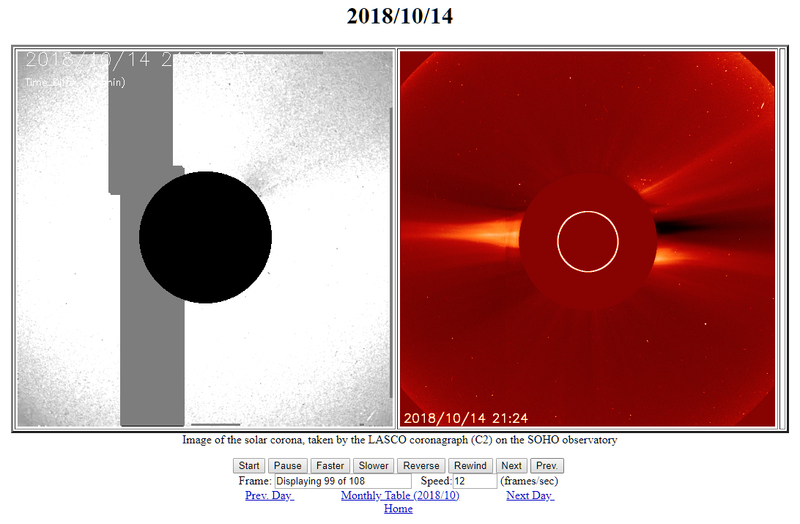 Note the difference in tail length between the two images from SOHO (red). It is almost as though there is little to no material included on this object that would create such a tail. It's quite possible, in my view, that this is not a comet at all, but is instead, an unknown craft. For a long while, there have been observations and corresponding rumors about this increase in UFO activity--not only in our skies but around the solar system as a whole. It even seems as though some intelligent interest is attempting to show itself to humanity in a more direct way. According to this tendency for strange objects to buzz the International Space Station as well as numerous space-based telescopes and equipment, it most definitely appears that someone or something intends to be noticed. There is one type of craft which has made itself known on a number of occasions. These craft are even reported to have at times, parked directly adjacent to the ISS and simply sat there in synchronous orbit for extended periods of time. These craft were reported by various tabloid-type websites, but have not always made their way to major news sources. Even still, the reality of the phenomenon seems clear. Yet despite the apparent reality of this UFO activity, I was not at all expecting to stumble across such a clear image of one on the SECCHI site. I have to admit, I was quite proud of finding this image, even though it was by complete accident. To be honest though, I was not at all intending to find anything profound. This find was the result of a series of random searches I was doing in order to gain a grasp of an average, uneventful day in space. There have been so many bizarre occurrences in images and video, and just as in any experimental explorations, it is important to have a control along with that which we are analyzing. This was what guided me to seek out a variety of average, uneventful images. Yet by mere accident, I stumbled across the feed of November 14th of this year. 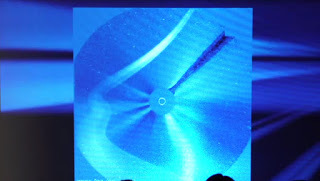 the LASCO camera was only able to capture it in one frame. The oddity is contained within only one frame, but the image seems clear. How many perfectly circular objects—with solid edges and a perfectly centered transparency/hole through the middle—do we have buzzing past our millions of dollars worth of space-based telescopics? I'm going to guess none. To note, it may not be that this object is as large as it appears to be in the image. It could simply be that this apparent UFO is much closer to the camera than the sun and that we are merely seeing the atmospheric perspective version of the object—making it appear larger than it actually is. Obviously, I can't take full credit for stumbling across this image. It could simply be that someone wanted me to find it to demonstrate the fact that something was actually occurring which conventional science and media have remained silent about. So in all of this, we may still be asking, "Just what is happening in our solar system?" We know that secrecy is a fact of our current society and establishment. We also know that this secrecy has been perpetuated and maintained for the last century with surprising effectiveness. What we do not know is the degree to which the reality behind this secrecy extends. Is there an actual, visible fleet of UFOs parked at some location in our solar system, as was suggested in the previous article? There very well could be. However, we do not presently have much else than the word of various sources to suggest such a possibility. 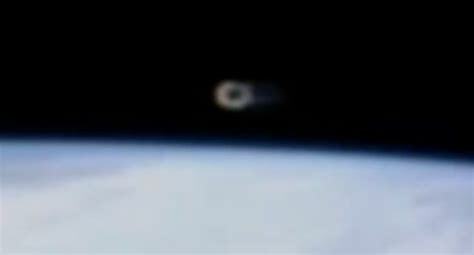 Yet as we have seen, the fact that establishments such as NASA never discuss sightings of these alleged objects, combined with the fact that we clearly see numerous anomalies and manifestations of these objects through official databases, it seems only logical to imagine the possibility that there is much more to uncover about this developing story. According to multiple whistleblowers and sources of intel, there very much is an extensive presence of both extraterrestrial craft along with Earth-originating and black ops spacecraft flying about the solar system. There is not presently a means for the average person to identify the origin of any apparent UFO they might see. However, considering the data we have seen here, it does seem reasonable for us to expect to see these objects on an increasingly consistent basis.